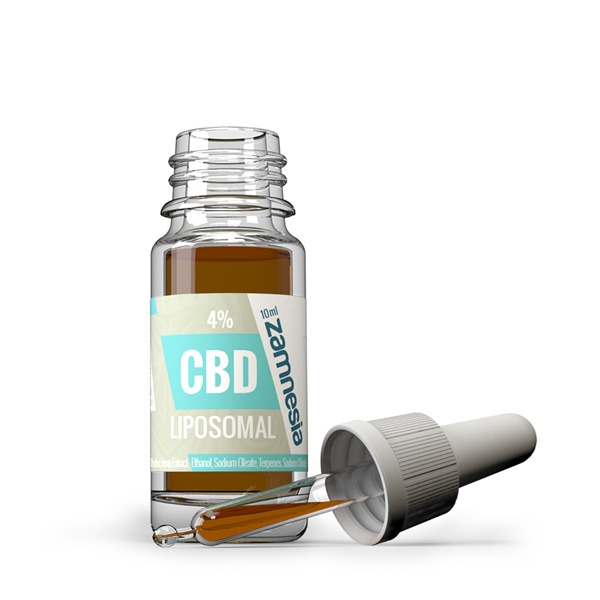 The Liposomal CBD Oil 4% is a refined formula from Zamnesia that uses alcohol and liposomes to create an oil up to four times stronger than traditional CBD oils. This maximises the effectiveness and potency of the product to give you a faster-acting, longer-lasting effect that is super beneficial for mind and body. CBD is used by many individuals as a daily dietary supplement to support robust health, while others find it helps relieve specific symptoms. Building upon CBD's broad spectrum of therapeutic applications, Zamnesia has managed to create a complex formula that not only gives you a potent dose of CBD, but a faster-acting and sustained one at that. Although 4% doesn't seem like a strong concentration of CBD, it is actually comparable to a traditional CBD oil with 20% CBD (one of the strongest CBD oils available). This is due to the inclusion of innovative liposomal technology. By combing liposomes and alcohol, this product is up to four times stronger than traditional CBD oils. Liposomes are essentially small "bubbles" that transport CBD safely into your bloodstream, without it being degraded by digestive enzymes. This way, effects are felt more quickly and also last longer than with other products. 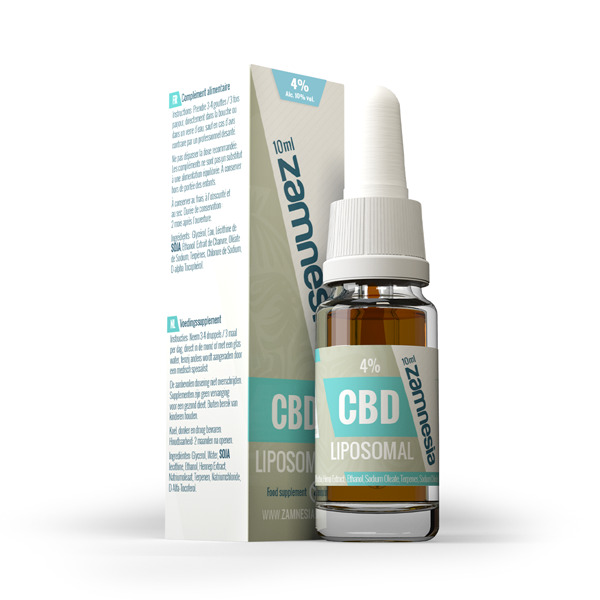 If you are unsatisfied with the effectiveness of traditional CBD oils, Zamnesia's Liposomal CBD Oil 4% is here to boost effectiveness to the max. Despite the undeniable benefits of this oil, it is not for everyone. This product contains soy, and therefore isn't suited for those with an intolerance. Furthermore, alcohol is included (10%), which is why it is not intended for children or pregnant women. If you fall into one of these categories, you should opt for another CBD oil without these components. Moreover, the compounds in the liposomal formula make this oil unsuitable for capsules. The recommended dosage is 3–4 drops, 3 times a day. This product contains 400mg of CBD and yields approximately 200 drops. This perishable product lasts up to two months in the fridge once opened. Glycerol, lecithin, water, ethanol, CBD, natrium oleat, sodium chloride, D-alpha tocopherol. Please be aware that this product contains alcohol and is therefore not suitable for children under 18 or women who are pregnant.